"Urge Washington House + Senate Labor & Commerce Committees to VOTE NO on HB1640/SB5209"
Urge Washington House + Senate Labor & Commerce Committees to VOTE NO on HB1640/SB 5209, a mandate for retail pet stores to sell animals sourced ONLY from UNREGULATED shelters and rescues. At a time when the U.S. is encouraging small business and discouraging overregulation, the Washington State legislature is hearing HB1640 and SB 5209, which fail to protect legal, in compliant businesses in their state against an animal rights driven agenda and wrongful attack on retail pet stores simply because their business does not fall in line with the ideology of the radical animal rights groups. Pet stores are accountable, traceable sources for pets and are legitimate, legal businesses which are self-sustained. HB1640 and SB 5209 is a mandate that stores sell animals sourced from unregulated sources ONLYL such as rescues and shelters which incurs a serious threat to public safety and health of both people and other animals. HB1604 and SB 5209 do ZERO to stop animal abuse or unlicensed breeders already in violation of the law! 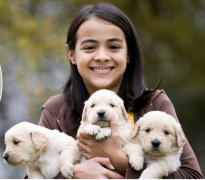 If passed, this legislation would be a mandate on pet stores to sell dog and cats from UNREGULATED sources, making this a rescue mandate on pet stores; eliminating consumer choice while imposing a safety risk to consumers, families, and other family pets. If passed, this legislation hands the regulatory over to animal control agencies and making animal rights organizations the enforcement arm of this potential law. Shelters and rescues are not equipped to provide accurate behavior and safety assessments on animals, and are often misguided, refusing to acknowledge inherent dangers or background of dogs just to get them adopted out. Please take one minute of your time to OPPOSE WASHINGTON HB 1604/SB 5209 and click the link below to urge the House and Senate Labor & Commerce Committees to OPPOSE this dangerous and misguided legislation. To learn more about the TRUTH ABOUT PET SALE BANS click here.